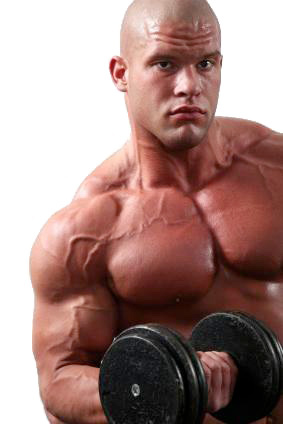 The Best Arm Workouts For Massive Muscle, Peak And Size! The best arm workouts are those that hit your arms with a training or intensity method that your arms haven't experienced before. If you've read around this site you'll notice that this is the constant theme of this website, always change your workout routines to encourage constant progression in your training. The body is a remarkable machine, and it's able to adapt to stresses very well in order to survive. In order to build arms like Arnold Schwarzenegger you got use advance bodybuilding training methods. That's exactly what these workout routines are, super high intensity advanced training techniques. Below you'll find three different advance arm routines. Pick one that you haven't done before and try it for two to three weeks. Before proceeding any further, I always try to remind you that bodybuilding is 50% training and 50% nutrition. Make sure your diet is right or you'll be disappointed with your results. You'll find more information on the nutrition side of things in our section bodybuilding nutrition. Giant set training is one of the most intense and effective bodybuilding training methods known to man. It's extremely intense so it should only be used as a way to jolt and shock your body into new muscle growth, to get you out of a plateau. Only use the following routine three times at the most, anymore than that and you'll likely be overtraining, which is counterproductive to building muscle. Make sure to give your arms at least 5 to 7 days rest before performing this routine again. Giant sets are when you perform four or more exercises for a single bodypart back to back without any rest. If you're familiar with tri-sets (3 exercises) or compound sets (two exercises), this is the same concept. Supersets are great for building your arms because it brings a ton of blood to the area, which means more nutrients and metabolic byproducts such as testosterone and growth hormone to the muscles, all great for muscle growth. Drop-set training is another favorite of mine because it's so easy to do in that you don't usually need a spotter, although having a spotter is always better. Drop-set training is when you immediately reduce the weight just being used in order to continue to complete more repetitions for that exercise. For example, let's say you can do 40 lbs dumbbell curls for 10 reps. Performing drop-sets for this exercise would involve doing 40 lbs for 10 reps, than immediately grabbing the 30 lbs dumbbells and doing as many more reps as you can, then grabbing the 15 lbs dumbbells for the final drop and doing as many repetitions you can for that weight. This is considered one set of drop-sets. *Based on 100% of 10 rep weight.